One of the main problems when translating a WordPress website is to find a translation service (or a professional translator) who knows WordPress and also is specialized in the content of your blog, whether it is technical knowledge (engineering, medical, etc) or creative writing experience (marketing content). 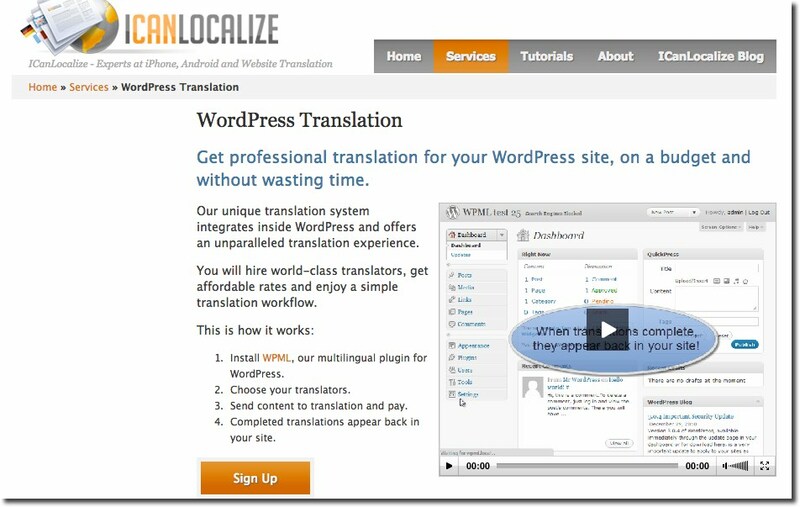 There are two great professional translation options available (with their pros and cons) for localize your website that are integrated directly into WordPress: TextMaster and ICanLocalize. These services give you access from the WordPress dashboard to a large number of translators (or even writers) who can help you to make your site multilingual or create engaging content for your blog or website. This way you can manage translations form your WordPress admin panel more efficiently since you avoid having to copy and paste text and you can keep links, images, etc of your original WordPress pages. Recently I’ve been using a free WordPress plugin to order professional translations of some articles of this blog into German. This plugin has been developed by a startup called TextMaster, that offers professional translation, web content writing and proofreading services by native speakers in more than 20 languages. 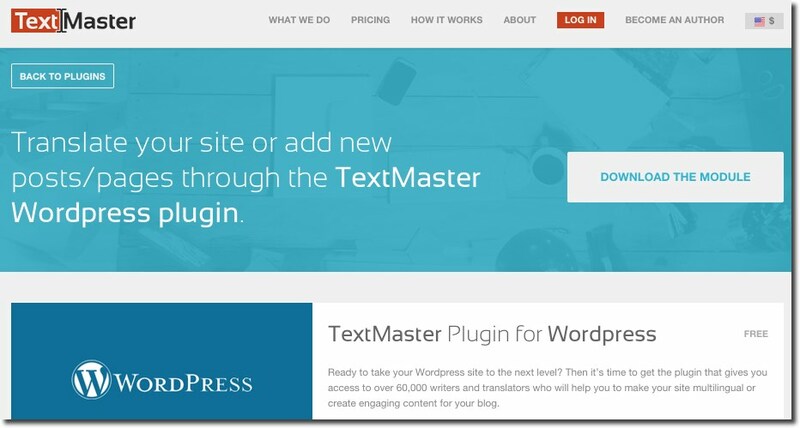 This plugin, called WP TextMaster, gives you access from the WordPress admin panel to over 60.000 writers and translators. No matter what translation plugin you’re using. WP TextMaster plugin is seamlessly integrated with human translation plugins (WPML, Polylang, mqTranslate, etc). The plugin is visible in your sidebar when you create or duplicate posts or pages. Once you placed your order for translation, proofreading or copywriting, you’ll see a notification when it is complete. So all you need to do is enable multilingual posts or pages and automatically replace the text in those languages. ICanLocalize is the author of WPML, the best known WordPress translation plugin. They know exactly what it takes to run a multilingual WordPress site. Their own site is using WPML and ICanLocalize translations services. Translation rates are between 0.09 to 0.14 USD / word, depending on the language pairs and required fields of expertise. One Hour Translation. Translation service integrated in Transposh WordPress plugin. Transfluent WordPress plugin. 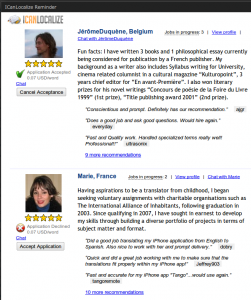 Transfluent is a translation company that has developed a plugin that adds multilingual support to WordPress. You can order translations for blog posts and pages from the WordPress dashboard. WordBee. This translation company has developed a plugin (Beebox) to translate your WordPress site with professional translators and WPML. Lingotek. Another translation service with a plugin to translate WordPress with native translators and Polylang plugin.